If you’re looking for a comprehensive billing service to handle your practice income drivers so you can focus on patients, look no further than Modernizing Medicine®’s Revenue Cycle Management (RCM) service. 1 Healthcare Business & Technology. It’s the process of managing claims, payments and revenue generation, from before the patient is seen until after their bill is paid. From before patients are seen until after their balances are paid, our medical billing specialists and customer service representatives support your revenue cycle management process. We can even handle problematic RCM issues, such as outbound collection calls to patients. Our goal is to boost your profitability while freeing up resources for you and your staff. 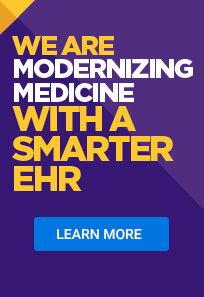 Modernizing Medicine’s healthcare Revenue Cycle Management team will get to know your practice’s unique processes, then work with you to identify and implement new strategies for streamlining your revenue cycle. Convenience is just one of the many benefits of having a single vendor for your technology and billing services. Modernizing Medicine’s EMA™, Practice Management and Revenue Cycle Management solutions give your practice an all-in-one suite for managing the clinical, financial and operational aspects of your practice. You owe it to your staff, your patients and yourself to get the most out of your practice while staying prepared for your industry’s future. Our integrated solutions should work far better together than disparate solutions from multiple vendors patched together with expensive system bridges. Many practices miss the mark on financial performance because they aren’t analyzing all of the factors that impact their revenue cycle. How can you optimize cash flow or locate lost revenue opportunities if you don’t know where to look? Total Clinical Collections — How much do you generate in total clinical collections? Net Collection Ratio — What percentage of money do you collect against the amount you are legally owed? Adjustments/Write-offs — What are your current insurance adjustments? Are all of your write-offs justified? Days Sales Outstanding — How long from the date of service is it taking you to collect money? Aged A/R Analysis — What are your current accounts receivable balances? Is the majority (85% or higher) collected within 0-60 days? With our service, your practice’s dedicated Revenue Cycle Advisor will take a closer look at these key performance indicators and work with you to address them.